Police in Lawrence are asking for the public’s help in locating the suspect who allegedly robbed a bank Saturday morning. LAWRENCE, Ind. 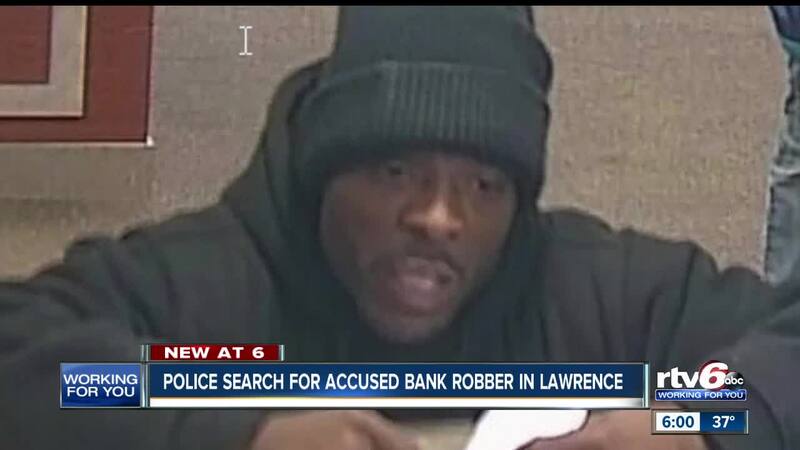 — Police in Lawrence are asking for the public’s help in locating the suspect who allegedly robbed a bank Saturday morning. Lawrence Police Department officers were called around 11 a.m. to the Fifth Third Bank near East 56th Street and North Post Road after a man said he had a gun and demanded money. Police said a gun was never displayed and the man left with an undisclosed amount of money. Anyone with information on the suspect is asked to call Crime Stoppers of Central Indiana at 317-262-8477.